HabHouse presents an exceptional home with unique design elements, sensible function, high-end finishes, and natural tones producing a compelling contemporary setting. 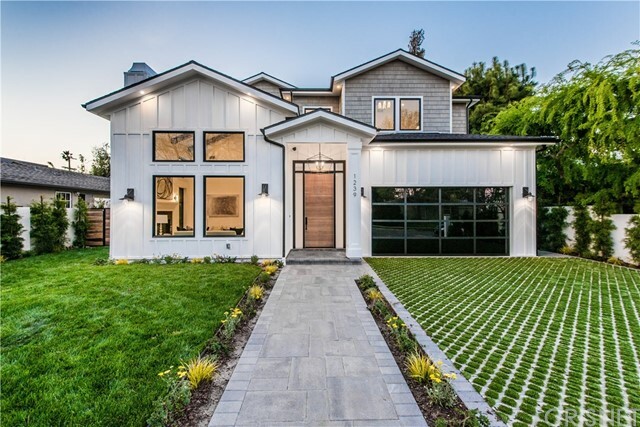 This remodeled home sits atop a private hill in Sunset Park with extraordinary city-to-ocean views. Three immaculate levels of living space project an essence of modern sophistication through Scandinavian design. Top-level kitchen with custom ash cabinets and Fisher & Paykel appliances opens to the dining, living room, and deck with expansive views, with media room and laundry room below. Custom upscale details such as German Duravit sinks, Hangrohe bath fixtures, Swedish Ash floor, & California-made custom windows/doors with lighting by LA designer Brendan Ravenhill help render an individual touch, while the master suite seamlessly opens to the lush garden w/views. 2-car garage includes studio & bathroom. This striking indoor-outdoor architectural exudes international modernist design at its very best! Based on information from California Regional Multiple Listing Service, Inc. as of 2/27/2018 9:32:28 AM PST and /or other sources. All data, including all measurements and calculations of area, is obtained from various sources and has not been, and will not be, verified by broker or MLS. All information should be independently reviewed and verified for accuracy. Properties may or may not be listed by the office/agent presenting the information.